This was England’s biggest ever win at a World Cup. A hat-trick by Harry Kane helped England Humiliate Panama by 6-1 as they join Belgium in the knockouts. Kane became only the third English player ever to score a hat-trick in the World Cup. 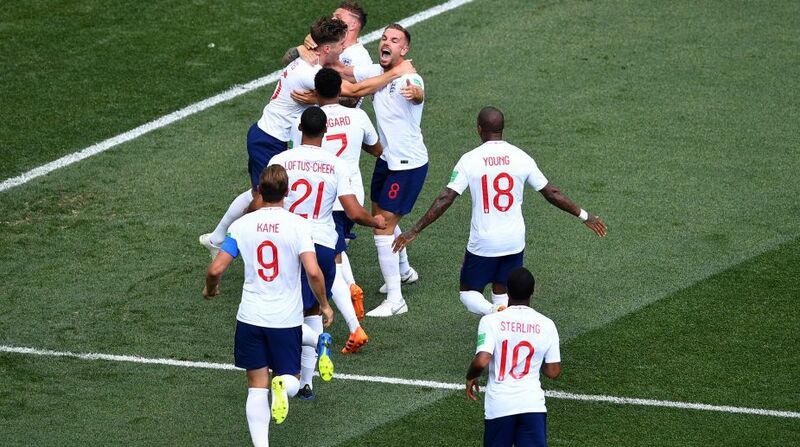 This was England’s biggest ever win at a World Cup as Kane became the top-scorer with five goals, surpassing Ronaldo and Lukaku with four goals each. John Stones opened the scoring for England in the 8th minute following a neat corner taken by Kieran Trippier. He added another in the 40th minute to make it 4-0 for England. Panama fans also got something to cheer for as they scored their first ever goal at a World Cup after Felipe Baloy finished a cross by Ricardo Avila. The fans did not care about the six they had already conceded as they went all out to celebrate their solitary goal. Jesse Lingard also scored his first ever World Cup goal following a thunderous hit from 25 yards out. Following their huge victory, England are now tied at the top of Group G with Belgium. England will face Belgium on Thursday to decide who will top the group. Panama will face Tunisia in their next match as both the teams will be hoping for consolation wins.